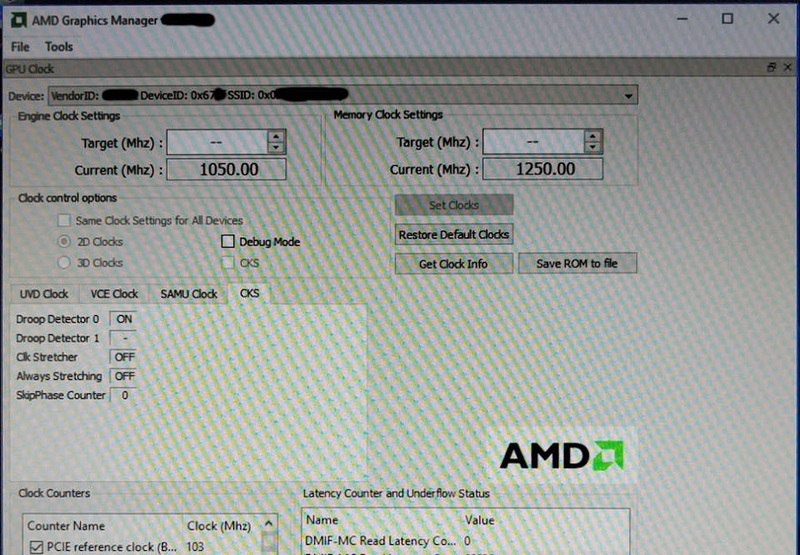 Some strange new screenshots of rather benign parts of the operating system might just show the verifiable, bona fide existence of AMD's Polaris 10 GPU. 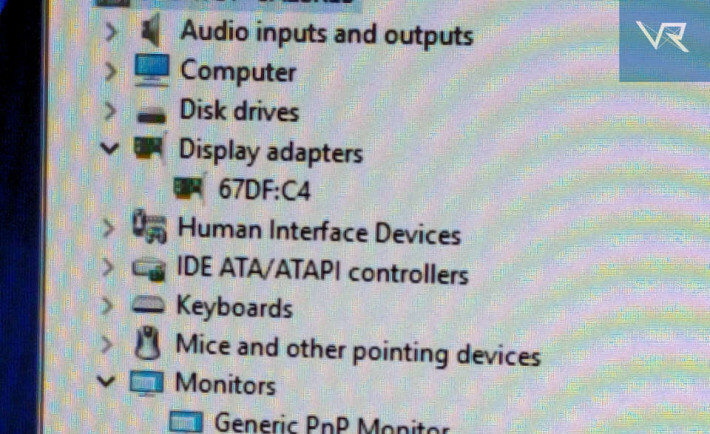 Someone decided to show off the device ID of an installed GPU and corresponding AMD Graphics Manager shots with that list the operating frequency of the elusive GPU. VRWorld received a small tip from someone in the industry (supposedly) with some evidence of working engineering samples of the upcoming Polaris 10 GPU. We've recently learned the device ID's that are supposed to be associated to the new Radeon R9 4xxx series of cards, and this matches up perfectly. This happens to be one of them, if it's not doctored. Interestingly, the clock speed of the card is at only 1050MHz. We know that Polaris is built on the 14nm FinFET process and should feature GDDR5X RAM. We've previously heard that HBM 1.0 might make an appearance, though it seems more likely that GDDR5 in some guise will also be included for higher VRAM capacities. Internal enhancements to GCN and the inclusion of enhanced geometry processors, a new command processor and a much better memory controller should allow for higher performance gains than we might be able to conclude otherwise. For Polaris 10 we've concluded that it's likely that it will have 2304 SP's in 36 compute units with a 256-bit GDDR5(X) memory bus. With the supposed 1250MHz QDR rate, we're looking at between 160BG/s to 448GB/s of memory bandwidth, if running at the top-end limit of GDDR5X. But because that's only just started to ship to customers for testing and integration, we might not see the X variant until well after the release. That integration shouldn't be terribly difficult, being pin-compatible. But what do these screenshots mean? Absolutely nothing, aside from the fact that we're getting closer to release and closer to seeing the final specifications. Anything seen here could be manufactured. And if these are indeed real, the final clock speeds could change based on internal testing. That and speculating performance purely on the number of stream processors is a trap. The whole package won't be equal to past GCN parts due to the internal changes and the switch to 14nm FinFET. We should certainly expect something faster than Fiji, but by how much and at what power draw, is unknown. We're still very excited to see more concrete information, even if it is speculative at this point. >> NEXT STORY: Old-school Fallout dev joins Obsidian, is New Vegas 2 in the works?